In a blender, combine spinach and almond milk and blend on high until smooth. 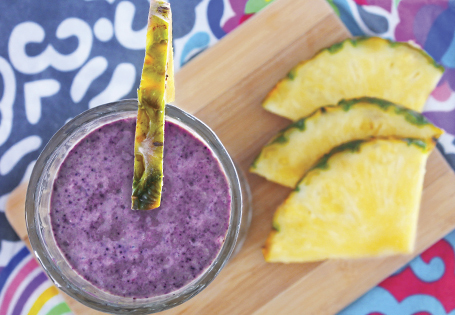 Add blueberries, avocado, banana and pineapple and blend on high until smooth. Serve in a chilled glass and garnish with a slice of pineapple.